In this post, we will review 5 of the best elliptical under 200 that you can use at home. The prices for elliptical machines designed for home use usually range from 60 to 10,000. If you are on a tight budget, this post will help you find the right elliptical that will cost 200 and below. This affordable elliptical machine can be a good starting point, especially for beginners to keep them in shape and help lose weight. If you are looking for a low budgeted elliptical equipment, the Gazelle is a good choice. For those who haven’t got any problem with spaces in their house, the Gazelle Freestyle Machine is recommended. It has bigger stride length as compared to others, so it will use up more space when in use. But, when not in use you can fold it with ease, making it less than 10 inches deep. It weighs around 45lbs. which means moving it is not a problem at all. Gazelle is a sturdy machine that can stand up to regular use. The device has handles. Thus you can complete your upper and lower body workout at the same time. Putting Gazelle together is easy. Most of its parts are already assembled out of the box. By using a few tools, you can set up your equipment within a few minutes. The package includes an instructional video on the different exercises that can give you a chance to take advantage of the machine. The handlebars are very comfortable to hold. They are padded with high-density foam. It has extra wide non-skid foot platforms. Thus stability is not a problem at all. The machine does not produce any unwanted sound that you can talk to someone on the phone or you can watch TV while working out. Gazelle machine is not recommended for individuals who weight more than 250 lbs. Pros: Includes an instructional DVD, handlebars are padded, Easy to assemble, Affordable price, provide whole body workout, Operates smoothly without any annoying sound. The Stamina In-Motion is the equipment you need if you feel your legs need a little exercise in the comfort of your living room. However, you have limited space. For those with small spaces, you cannot buy a full-sized trainer. This equipment can help you do your exercises without leaving your house. Thus bad weather is not an excuse for not doing your routine. The Stamina In-Motion has excellent features that you can take advantage of if you want to stay healthy and fit. The equipment is compact and lightweight and is the best option if you prefer something that you can move from one place to another. Since the tool is not a full-sized trainer, you can easily place it underneath your home desk and continue exercising as you work. It is made of steel that it is durable and the pedals are non-slippery, so you can be sure that you will not have a hard time moving your feet. The steel body construction makes it look it elegant and expensive even if it costs only under 200. For those who want to combine arm poles with exercise bike the XS Sports Pro 2 in 1 is the best option. The machine is front-mounted which provides added stability. Some elliptical trainers may look great, but it is quite expensive. With XS Sports you can take advantage of the flywheel system without paying that much. The machine is not ugly at all. It is available in both silver and black. When it comes to functionality, there is lots of it in-store with this machine. The built-in LED screen displays time, speed, calorie count, and distance traveled. Also, there is pulse sensor, with monitors in the handlebars. It has no phone or fancy speakers’ integration capabilities. With a reasonable priced elliptical machine, these features are more than what you have paid for. The machine can provide an excellent cardiovascular workout and help you work on your muscles on the upper part of your body without injuries. This equipment is very stable and smooth to use in the long run. The machine also offers different levels of resistance which can be adjusted from the LED screen without affecting your daily session. You can choose to follow a low-intensity workout. For added comfort, it has largely sized foot pedals which makes it very convenient for every user. The seat is also very comfortable. The Body Rider 2000 is a dual workout equipment. It is an elliptical trainer and at the same time an exercise bike. The machine is recommended for people who want to work out but has a bad eating habit that could affect their looks. Exercising on the Body Rider for 20 minutes every day can provide excellent results. It has two elliptical arms and peddles, with adjustable seat. To make it more comfortable for the user, the machine has fan blades that provide a mild breeze. 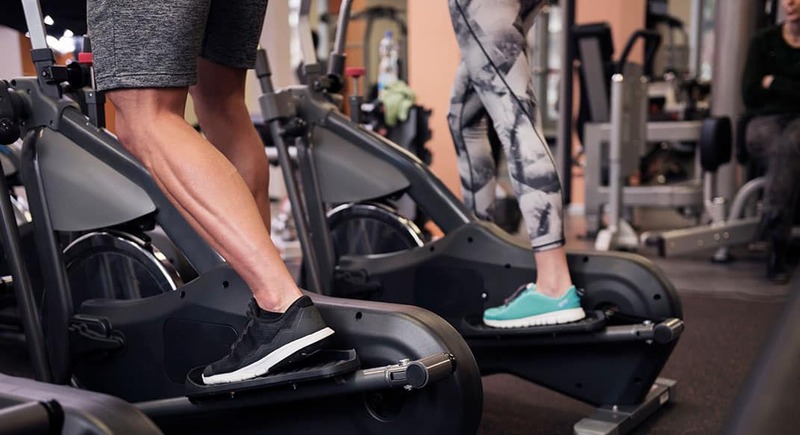 One of the causes, why people lack interest in working out using the machine, are exhaustion and sweating, that is why they added the fan blades feature to keep the wind flowing as you exercise. Body Rider has an adjustable tension knob so the user can set a challenge based on their requirements. The machine has 13-inch stride thus it is vital to make it more comfortable. It can hold up to 250 lb. The manufacturer offers a one-year warranty. This machine has adjustable resistance, heart rate monitor, data screen, pedals, and other amazing features. But the one that makes it popular is its price. With the price under 200 and the vital features, it has who would not buy the Sunny Health and Fitness Elliptical Trainer. It has two padded handlebars to make it more comfortable and two pedals to let you perform a full body workout. You don’t have to worry about slipping since its pedals have a non-slip grip features. The LCD screen displays all the information you need, such as the calories burned and the distance. The machine runs smoothly because of its magnetic resistance feature. The maximum weight capacity the machine can accommodate is around 220 pounds. Body Rider can provide you a full body workout. This equipment is recommended for those who are looking for a home machine that will get their heart rate up. It will help you save money, and at the same time you will get healthy and fit without the need to go to a gym. Pros: Lightweight and portable, Easy to assemble and with clear instructions, Turns off automatically if not in use for a certain amount of time, Easy to use., Affordable price, LCD screens display all the information needed. Cons: Shorter stride, Can accommodate up to 220 lbs only, Sometimes it wobbles, particularly on high speed. Getting healthy and fit can be now achieved easily by having an elliptical machine in your house. If you think you cannot afford one, you are wrong. You can choose from the five elliptical under 200. The above workout machine will not cost you that much but can provide a good workout. Among the five elliptical machine, we reviewed and we found Stamina-In-Motion very handy and easy to use. However, if you are looking for a full body workout we suggest you buy the Body Rider 2000 especially if you weigh around 250 lbs. Choose the one that possesses most of the features that you need. Some may have more or added features that you might not need. These machines are priced based on what it can provide the users. The five elliptical machines we reviewed are good examples of equipment with useful features and performance at an affordable price. 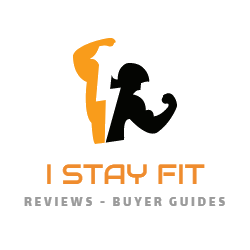 Hope this guide is able to help you find the perfect tool for your workout regimen.